Shehnaaz was as good as she was on our tour of Abu Dhabi. She is so flexible and made sure all of us ranging in age from 13 - 81 had an fabulous time. I would highly recommend her if you are looking for the best. Fabulous day in Abu Dhabi with Shehnaaz - she set up a good pace and never allowed the 2 thirteen yea olds to get bored. Her tour of Sheikh Zayed Mosque was excellent - both the guidance and tips for good photo opportunities. Heritage Village was interesting and informative and she took us to a wonderful gem of a cafe for lunch. We cannot wait for her to take us on our tour of Dubai. TOUR GUIDE RESPONSE: Hi Robyn. Wow thanks for the great review. You are tooo kind. looking forward to another fun day tomorrow. The twins are adorable. Enjoy your day. We enjoyed your company. Camelicious farm will always be in our memory. TOUR GUIDE RESPONSE: Thanks Samuel. Hope someday you will visit again. love to the group. Wonderful tour. We are a group of 18 and we found a new "mother" to take care of us. Thanks Shehnaaz. We booked Shehnaaz for two tours on our first day - one in Abu Dhabi and later in the day for the Sand Safari. I chose her because she had some great reviews. Those reviews were right on - Shehnaaz was a fantastic tour guide and we really enjoyed our time with her. She knew just how to get where we wanted to go and managed it to our best advantage. She was knowledgeable, flexible and so fun to be with! Thanks for a great very full day, Shehnaaz! Tour with Shehnaaz was wonderful. She was prompt, very personable and knowledgeable about the area and any questions we had. I HIGHLY RECOMMEND Shenaaz for any tour! Thank you, Shehnaaz for all you did for us! This was an excellent tour! We were able to completely customize our experience and see exactly what we wanted to. I had a diverse group with me and everyone enjoyed our day in Abu Dhabi. My three children and I absolutely loved our time with Shehnaaz! She put the kids immediately at ease and kept them engaged all day—she completely customized our experience to their interests and activity level. Can't say enough positive things about her and this tour...thank you, Shehnaaz! We will look for you every time we're in Dubai! My three kids and I had a lot of fun on this desert safari. Dune bashing was a highlight! Dinner was fine, the henna tattoos were fun, and the children especially enjoyed the brief camel ride. We'd go again! Shehnaaz is a friendly, happy and knowledgeable guide. Our tour was delivered as requested giving us a great insight into Dubai. Highly recommend. TOUR GUIDE RESPONSE: Hi Annica Thanks for the great review. It was my pleasure showing you around. Look forward to meeting again someday Dubai or Turkey. Love to all. This was one of the most organized and well thought out tours I've ever been on. Shehnaaz was a pleasure to spend the day with and really made the tour fantastic. She was extremely knowledgeable and friendly and we had a lot of fun with her. I would absolutely recommend this tour to anyone looking to visit Abu Dhabi. TOUR GUIDE RESPONSE: Hi Michael It was lovely showing you Abudhabi. Chelsea is so adorable and the bond you both shared was amazing to see. I hope some day you will visit again. Thanks for the great review and your generosity and trusting me with your tour schedule . Happy holidays. Amazing tour guide! Book your tour with Shenhaaz you will not regret it. Shenhaaz is extremely knowledgeable and catered to everything that we wanted to see. She even took us to her favorite lunch spot. Our group was 4 adults and 2 boys (ages 3 and 6) she kept all the adults and children engaged for the entire tour. Shenhaaz even checked up on us after the tour and let us know that she would be available should we have any question or need help while we were in Dubai. Amazing guide and human being. TOUR GUIDE RESPONSE: Thank You for the amazing review. It was my absolute pleasure meeting your family and the cute kids. I laughed soo much and it seemed like I was with friends. Thanks for your respect and graciousness.. Hope someday you will visit again. Big hug to the boys and regards to the family. Fantastic day with Shehnaaz! Very personable, knowledgeable, and fun to be with from start to finish! If one is going to Dubai this is the guide to select - I am sure there are others but no one could be better! Get her booked ASAP if you are heading her way! TOUR GUIDE RESPONSE: Hi Thomas. thanks for your review. It was my pleasure showing you around. Regards to all. Shehnaaz was a wonderful guide for our full day tour. Her English is excellent and she enthusiastically shared lots of information about all the top sites to see in and around Dubai. It was sunny and hot so the clean van with a/c that she arranged was nice for touring. She had a knack for keeping us engaged, varying the pace of the tour between walking, driving, a ride on a dhow across Deira Creek, and free time for shopping in the world's largest mall and in the souks. A great tour for sure! Our Abu Dhabi tour with Shehnaaz was everything we expected an more. Shehnaaz is very knowledgeable, friendly, and worked hard to make sure all aspects of our tour was focused on our needs and interests. We had a delightful time with Shehnaaz and cannot recommend her enough as a excellent tour guide in Abu Dhabi!! TOUR GUIDE RESPONSE: Hi Robert Thanks for the stellar review. it was an absolute pleasure showing you and Denise around.. Regards to your Parents and Good wishes for your Dads recovery. Yes I am officially on vacation in Malaysia, My roots and loving it. Hope you will visit UAE someday again..Big big hug to Denise. Excellent tour. It was absolutely perfect. Shehnaaz is a wonderful guide and a lovely person. TOUR GUIDE RESPONSE: Hi Susan thanks for the lovely feedback. it was a pleasure showing you Abudhabi. Hope you will visit again someday. TOUR GUIDE RESPONSE: Hi Guys... you are tooo kind and generous. Yes we had alot of fun in the desert. You both are wonderful human beings... the pleasure was ALL MINE. I felt like I was with friends. Thanks for trusting me to manage your UAE trip. I will always remember you ... very gracious guests... look forward to welcoming you again Some day. Big big hug. I want to say that we have been using Tours by locals for quite some time now and by far the BEST experience and guide we have had is Shehnaaz. These past two days in Dubai and then in Abu Dhabi have been quite an experience. Shehnaaz is not only pleasant and courteous but her knowledge of the history and culture is fenomenal! She makes sure you are having a good time all the way through. She went out of her way to please us and made this tour memorable! I recommend anyone to book with Shehnaaz!!!! I would rate Shehnaaz ten stars if I could because she is a FABULOUS tour guide and would totally recommend her. She gave great touring suggestions and helped us customize our touring itinerary. Shehnaaz is very knowledgeable, professional, flexible, enthusiastic, well organized, friendly and just all-around superb ! We saw so much of Dubai because of her excellent planning, and we learned so much about Dubai from her, too. We have so many wonderful memories of Dubai and of Shehnaaz, too!!! Must do activity in UAE. Our guide arranged this with a company that takes limited number in to their camp for the evening and thus making sure that we were able to enjoy the activities and the meal without any rush. Very knowledgeable guide. Well organised tour. Highly recommended. Shehnaaz was incredibly knowledgeable about the city, its attractions and its culture. She provided an engaging experience for us and our children throughout the tour. We learned a lot and we saw everything we wanted to see. Thank you Shehnaaz! TOUR GUIDE RESPONSE: Thank you Dear Fem. It was fun and a pleasure being with the group. You guys were great. Shehnaaz did a wonderful job of showing a group of 17 Filipino Canadians Abu Dhabi and Dubai. She tailored the tours to what we were interested in and what we had time for. The tours were well worth our time and money. Great tour provided. Highly recommended. This was a great tour and Shehnaaz provided knowledgeable insite. You could not ask for a better guide. She even went above the "call of duty" making sure one of our group had his cell phone returned to our hotel (he left it on the mini bus). TOUR GUIDE RESPONSE: Thank you for your review. Hope you visit us again.. Exceptional tour of the newer sections of Dubai. We did a tour in September with Shehnaaz and based on her performance we booked another tour for October. She did another masterful job on this tour. Her knowledge and professional approach made this tour equally enjoyable. She built a tour around our specific needs and made some suggestions that were a perfect fit for us. We give her our highest recommendation and look forward to taking another tour with her at the earliest opportunity. This was a perfect tour for us. We, a party of 4, visited Dubai on a long layover and had a fantastic tour guide who took us to all the places of interest to us and offered suggestions of places we weren't aware of. Shehnaaz has the special talent of not only knowing the history and interesting facts about Dubai, she also knows how much and when to talk. We were delighted with her as a guide and will use her again and recommend her to others. She was personable and had a wonderful sense of humor. Knowledgeable, great personality, punctual, problems (sometimes may occur) solver. Highly recommended for anyone for the future trips. We did a whirlwind tour of Dubai and Abu Dhabi in two days! A private driver with a large nice vehicle was provided as well; a blessing since we had some hefty luggage. This was a last minute trip, and I left it up to Shehnaaz to plan most of it. My wife requested to see "everything"! We did! What a tour! Shehnaaz had a great attitude, lots of energy and was punctual. We saw everything we wanted to see and more. She had an insider's knowledge of both cities, and she knew everyone. Highly recommended! Excellent vacation in Dubai, mainly because of the guide. Shehnaaz is a very good person and gave us a five star service. I highly recommend her. TOUR GUIDE RESPONSE: Hi Dimas. Thank you. It was such a pleasure meeting you and your beautiful wife. Hope you visit again. Best wishes. Our guide shehnaaz was at the airport on time waiting for our group. As soon as we met her, we knew we were in good hands. She was very warm and friendly. Sheenaz prepared a well organized tour for us. As our travel was very short we were able to maximize what we experienced in Dubai and Abu Dhabi because of the well planned and thought of tours by our guide. She was very helpful, going beyond what was expected of her. Considering that we were such a large group, she was able to handle our tours with flying colors. We would definitely recommend her to all our friends bound for the United Emirates. Shehnaaz is a wonderful guide! I was interested in learning about Dubai's history, economy and culture so we spent a lot of time on those topics as she showed me the "must sees ". She was comfortable to be with for a full day and sincerely wanted to tailor the day to what I wanted rather than just a standard tour that you would get in a group. She gave me detailed suggestions for time on my own the following day and called the next evening to check on me! I highly recommend her. Shenaaz was the best. She was knowledgeable. articulate, solicitous and fun. We enjoyed the entire tour with her and learned a lot about Dubai. Wonderful guide with so much knowledge. This tour was the perfect day with Shehnaaz, I have a complete insight into Dubai and had a thoroughly great day! TOUR GUIDE RESPONSE: Hi Maxine. It was great showing you Dubai. Take care. Shehnaaz was prompt, friendly and knowledgable. She gave us a very concise and complete tour of Abuudhabi and Dubai and we enjoyed our time with her. She is very friendly and easy to understand with a very good command over the English language. I would highly recommend her for future travellers seeking a culturally immersive experience in the UAE. I highly recommend Shehnaaz as a tour guide. She was wonderful and took us on a terrific, complete tour of Dubai in the five hours we hired her for. Her English is excellent and her knowledge of the city complete. Shehnaaz made sure we saw all the highlights and then some. I especially loved the old city. Aside from her knowledge and experience, Shehnaaz has an inviting personality. Use her if you visit UAE!! Terrific guide! We were so pleased with all her efforts. Would recommend her unquestionably. TOUR GUIDE RESPONSE: Hi Laurel / Richard Thanks for your kind words. It was wonderful showing you around. You both were kind and so gracious. Laurel, will remember you as " The gorgeous red haired Lady". Big big hug. TOUR GUIDE RESPONSE: Thank you. Mutual feelings. Hope you come back to visit again. Shehnaaz's tour of Dubai was very thorough and enjoyable. We enjoyed watching her haggle on our behalf through the souks. The ride was comfortable- even in the scorching heat! We would highly recommend Shehnaaz to anyone! We booked a tour of Abu Dhabi to bridge a eight hour layover at the airport. Shehnaaz had everything perfectly organised and managed to squeeze in a lot of sightseeing and get us back to the airport in time. We arrived at the mosque in the early morning and had it almost to ourselves, which was an amazing experience. Highly recommended! Ms. Shehnaaz was an excellent guide. I submitted the itinerary that I wanted to do and she made it possible plus much more. She was very knowledge and had a wonderful personality to match. I would definitely use her again and would highly recommend her. You were prompt and attentive. Thank you for the printed information (map).With a cooperative driver, you sustained your level of energy and interest throughout the day. I appreciate your willingness to openly adjust our tour (no Mall of the Emirates and skipping lunch) while extending our time on the Palm Jumeirah and limited exposure to Atlantis Aquarium. Your frank suggestions and encouragement allowed me to enjoy the following day alone at Ibn Battuta Mall with the geographically themed architecture. Excellent day spent with Shehnaaz. Very well organized (car and driver, itinerary) and she has excellent historical and geographic knowledge. Highly recommended. Great day with Shehnaaz. All was well organized (car and driver, itinerary) and she knows the city and its history really well. Highly recommended. Shehnaaz was a wonderful guide. She took us to the highlights in Dubai and integrated them with the rest of our short stay very comfortably. She is pleasant, informative and responsive. We enjoyed her immensely. Don't let Shehnaaz get away from ToursByLocals! This accommodating, caring, knowledgable, sweetheart of a tour guide, could not have been more of a joy with whom to spend a day sightseeing Dubai. She even gave up her day off for us! I was on my own in Dubai and booked a six hour tour of the city with Shehnaaz. Shehnaaz's knowledge of the city, its history, its people and customs is remarkable. She has an incredibly friendly and warm personality that made me at ease the instant I meet her. To me this tour was worth every penny. I have learned so much in six hours and I am so grateful to Shehnaaz for that. If or should I say when I return to Dubai, I will use her service again. Book her, you will not be disappointed. TOUR GUIDE RESPONSE: Dear Josee. It was certainly a great day. I felt like I was with a dear friend. Thanks for your kind words, and most certainly look forward to welcoming you and your family. Big big hug. Excellent knowledge and speaks with good English voice.Would certainly use her again. We had a great day with Shehnaaz!!! She was extremely accomodating to our schedule and was really knowledgeable about all of the places we visited. Shehnaaz did not just give us the info and details regarding the various sites we saw during our tour, but she also gave us a greater understanding of the culture. Shehnaaz was prepared with everything that we needed, including the right attire for the ladies in our group, so that we could visit the Mosque without any problems. Thanks for a gretat Shehnaaz! Shehnaaz is a very good guide. Our tour to Abu Dabi was informative, friendly , flexible and comprehensive. Sheenaz was fantastic. She gave us an amazing tour. It was five star plus!! The day was delightful and we got to see so much of Dubai. We highly recommend her to anyone visiting Dubai and the United Arab Emirates. She has a wonderful personality and is very smart and knowledgeable. She fits a lot in in five hours or so. We both really liked her as a person! We would definitely use her again. Susan & Greg in the US. delightful person. lots of history and information. lots of enthusiasm and love for her work, and this country! very well and thoughtfully organized. someday i hope to find myself in dubai again, and have Shehnaaz take me to abu dhabi for more exploring! 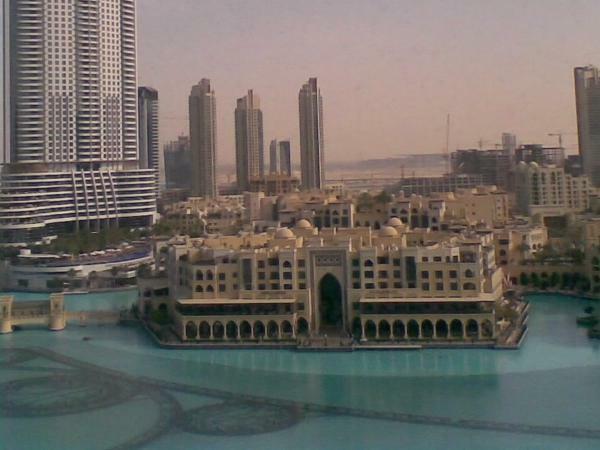 Shehnaaz has put together an excellent tour of Dubai. She is one of the most competent guides that we have ever used and we have become friends during our stay in Dubai. We can recommend her without any reservation. Thanks for making our excursion special Shehnaaz. Shehnaaz absolutely exceeded my expectations. She was professional, responsive, organized, prepared, and highly knowledgeable. More importantly, she listened to what my ideas and thoughts were, and she built the itinerary to reflect those discussions. It was not a "canned" tour, and there were many options built in throughout. I will recommend her, and I will use her (and ToursByLocals) again. Shehnaaz, thank you!! We are safe back home. We, me and Glenn want to thank you very much for showing us the amazing city Dubai. We really enjoyed having you as our tour guide. We are still under the impression of your city. We had a beautiful time in Dubai, however very short. But this encourage us to come again to Dubai and we would like to visit also Abu Dhabi. Our regards to the driver, he is a good driver! Shehnaaz, you are the best! Warm regards, and take care. I am so glad I took the time and money to pay for this tour. My tour guide Shehnaaz was outstanding. She was early, extremely professional, and organized to the minute to maximize various events on the tour. She incorporated my wish list into a fluid, interesting 4 hour tour. She provided a full overview of Dubai, UAE history, culture, customs, and detailed statistics on everything. The entire tour was covered - driver, boat ferry, museum, and Souk recommendations. She bargains better than Donald Trump.